I’m not obsessed with hummingbirds. Really. Ok, maybe my friends and family have reached the limit on what they want to hear and see about these delightful creatures. I may have bored a perfect stranger in the WalMart bird food aisle, too. 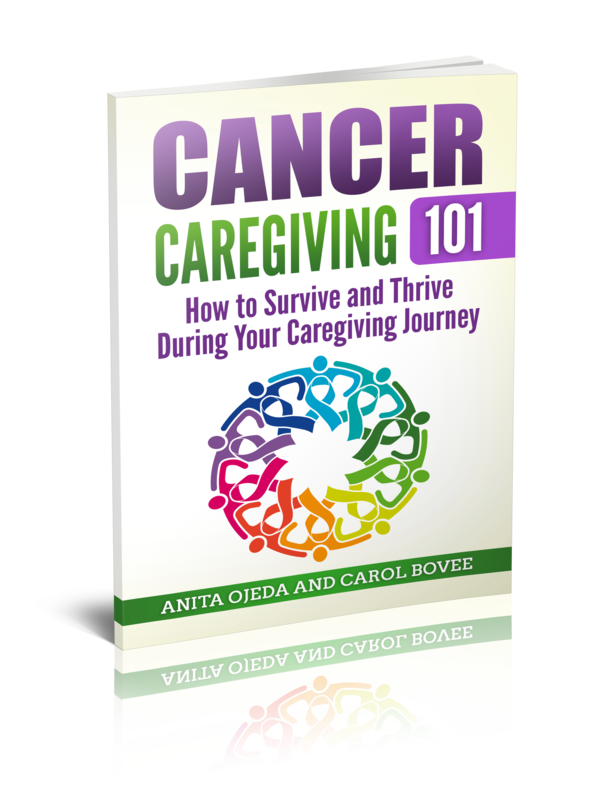 This blog is primarily about being a caregiver, and sharing the miracles God has brought into our lives. Part of recovering from my caregiver journey includes a foray into photography and a burgeoning fascinating with birds (some might call it an obsession). 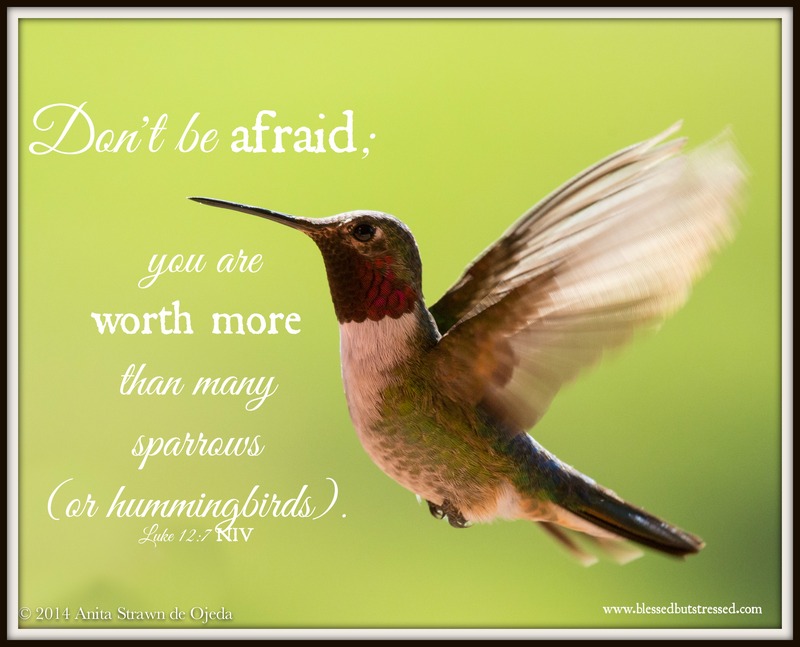 But something about birds and the way the Creator carefully crafted them feather by feather in a startling array of beauty and precision engineering causes me to reach the same conclusion over and over again: God cares for ME. I have no need to be afraid. After all, that’s what Jesus tells us. He assures us that not one sparrow (one of the plainest of all the birds) will fall to the ground outside the Father’s care (Matthew 10:28-30). Just consider the miracle of migration. Our Creator hardwired birds to travel thousands of miles each year. Along the way, birds arrive at just the right time to harvest just the right fruits or pollinate just the right flowers or eat the insects that only show up at THAT time. I know God cares about my comings and my goings and he’ll be with me in each journey I undertake. 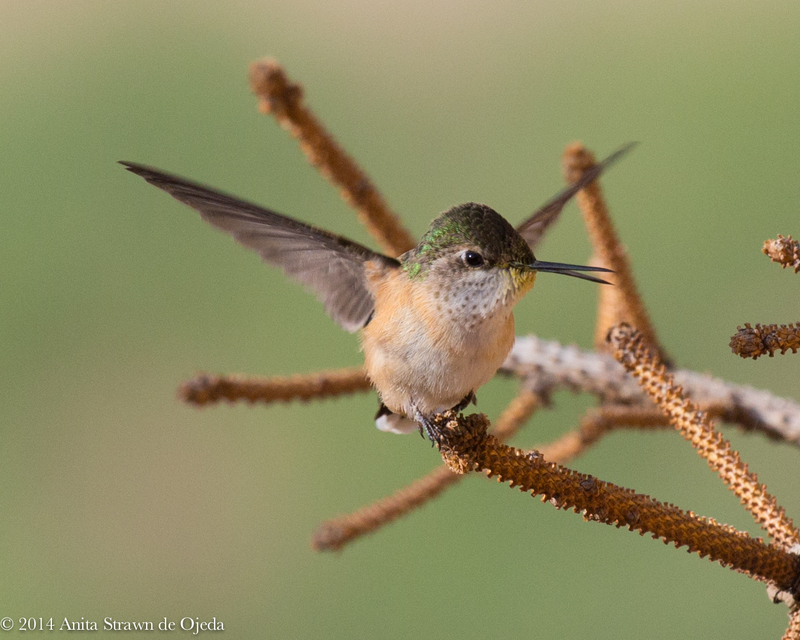 Consider the miracle of a hummingbird’s flight. It maneuvers up, down, sideways and even upside down—skills necessary to pollinate flowers and collect nectar. If God calls me do what seems impossible, he’ll give me the necessary skills to accomplish the task. Consider the blinding beauty of a hummingbird’s gorget. The tiny birds can manipulate the iridescent feathers to attract or frighten—functional yet beautiful. God loves beauty and wants us to consider his creation—I’ve always found this a balm for my weary soul. 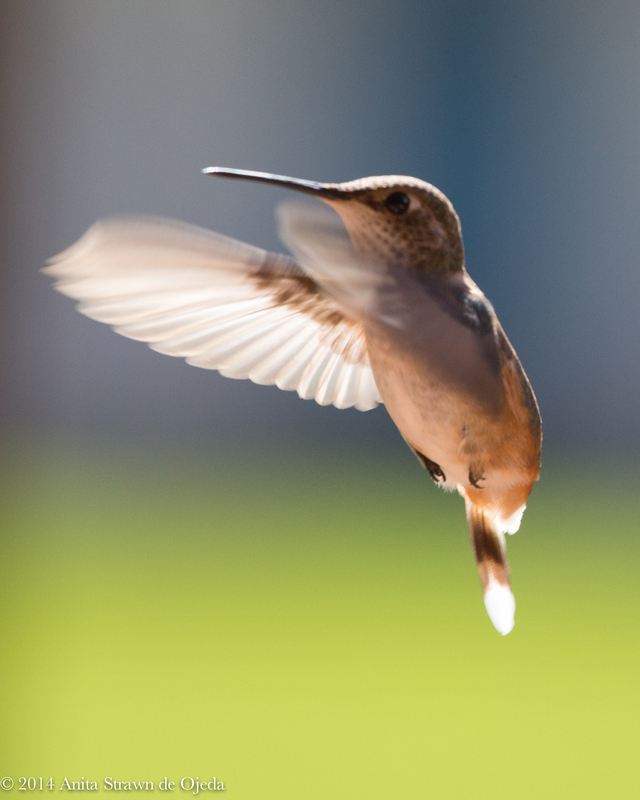 Consider the perfect package of failsafe engineering in hummingbirds. The tail feathers seem absolutely essential to the flight of a hummingbird. Believe it or not, they molt their tail feathers—and they can still fly! When I feel as if I’ve reached the end of my rope, I know God is still with me. If you’d like to join the Five Minute Friday fun, click on the link to the right and buzz on over to Kate’s place to find out how! If you’d like to see the hummingbirds in action, here’s a short video I took of them this morning before dawn (I shone a shop light on them so I could see them).